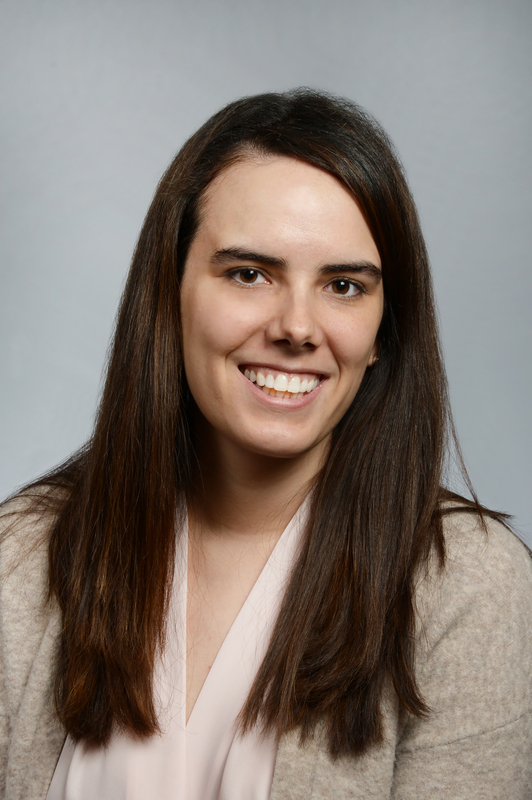 Melissa Tapia earned the campus-wide Excellence in Teaching with Technology Award. 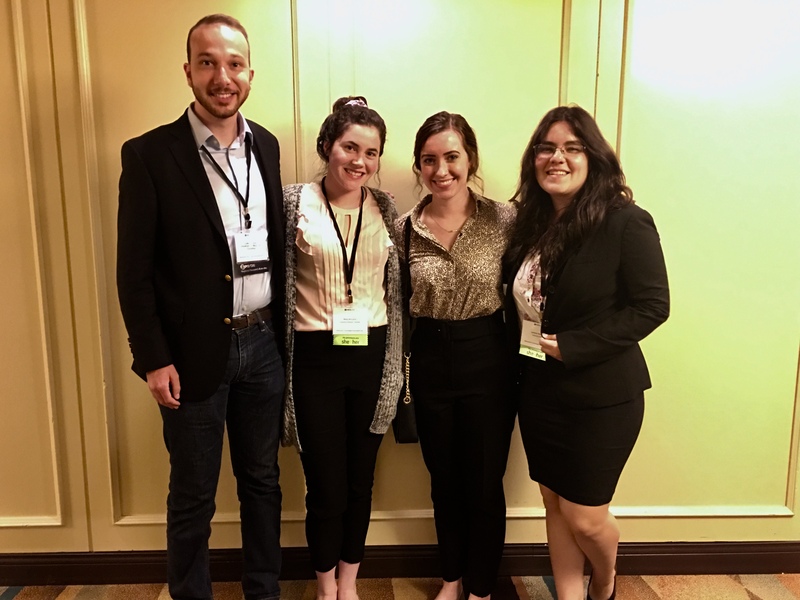 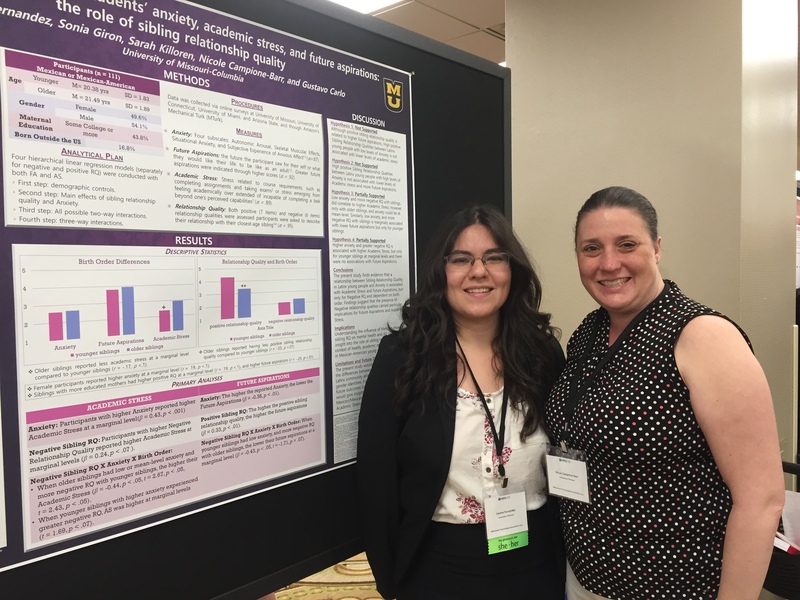 Award for Undergraduate Distinction winner Lorena Fernandez and her faculty mentor, Dr. Nicole Campione-Barr, present her research at the Midwestern Psychological Association meeting. 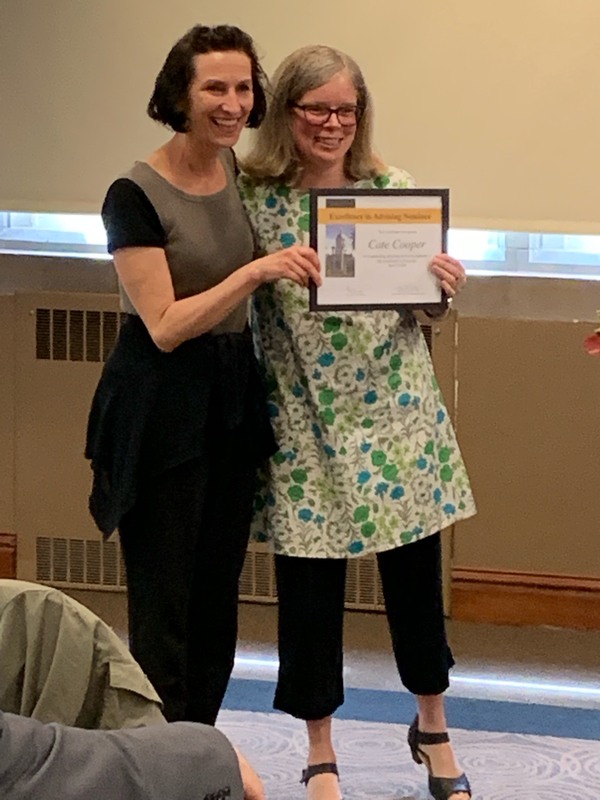 Cate Coper is recognized with the Excellence in Advising Award from Arts & Science Dean Nicole Monnier in April 2019. 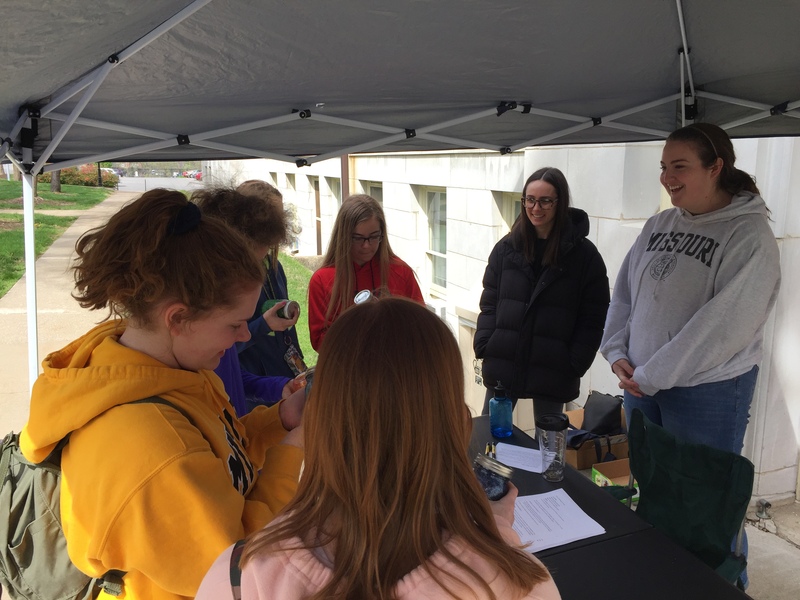 Graduate students Genevieve Dash and Lindsey Freeman help high school students learn about psychology at Show Me Mizzou Day. 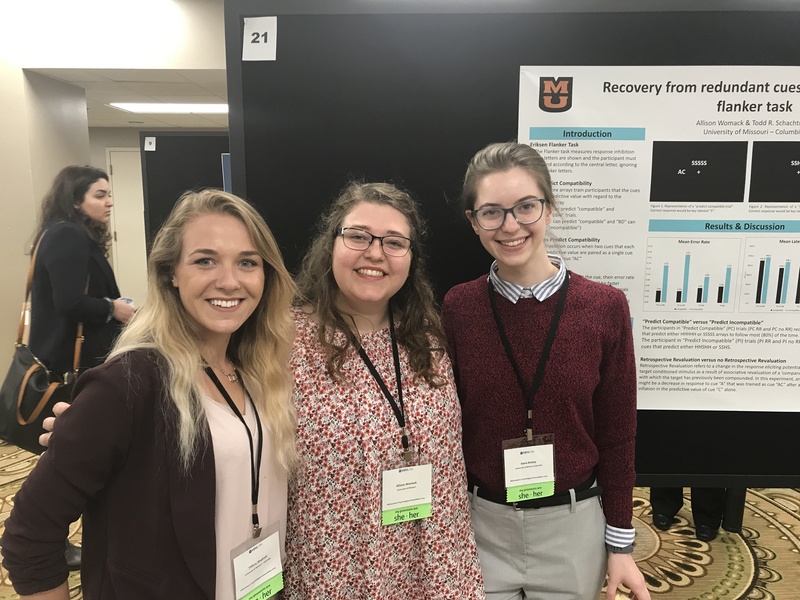 Tiffany Shadrick, Allison Womack and Dana Kelsey at the MPA meeting. 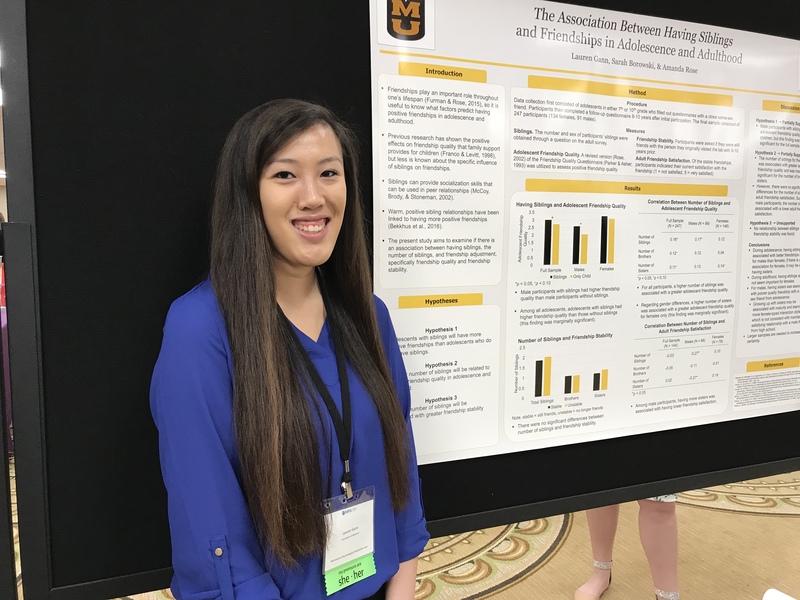 Laura Gann has worked with Dr. Amanda Rose on a research project on sibling relationships. 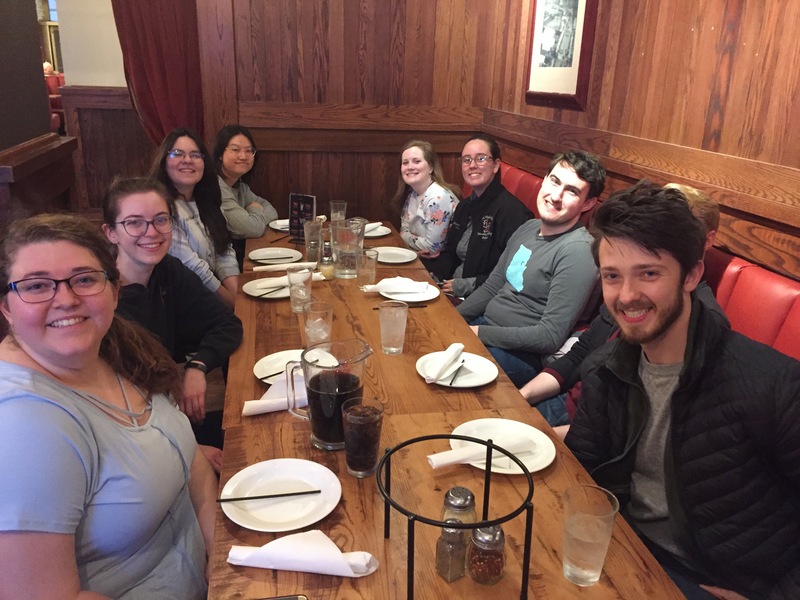 Students enjoyed a pizza dinner the evening before the MPA conference began. 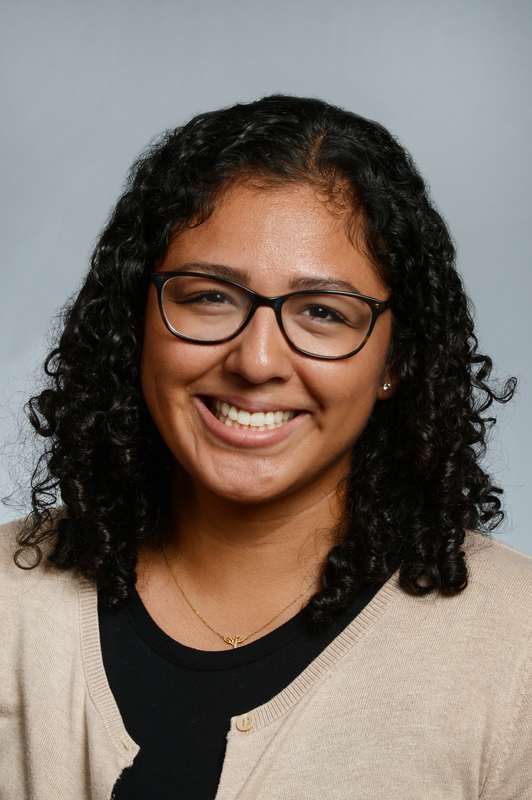 Dissertation Defense - Constantine J. Trela - "Low Sensitivity to, and Craving for, Alcohol in Naturalistic and Laboratory Settings"
Dissertation Defense - Sonia Giron - "The Role of Ethnic Identity in the Links Between Family Obligation, Disclosure, and Relationship Quality in U.S. Latinx Families"